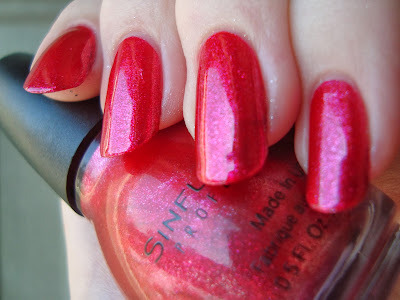 If you read our blog often, you know I love Sinful Colors. I love how many new shades they put out and how most months have at least one new display from them, even if some of the polishes are repromoted. There is such a thing as too much though. Decorate Decadently is too much. Thirty-six shades in one MASSIVE display. I goggled at G.'s post about it on Nouveau Cheap. My brain kinda hurt. Twenty-six of those shades are new! My wallet whined. When I found this display at Walgreens, I examined it very carefully. 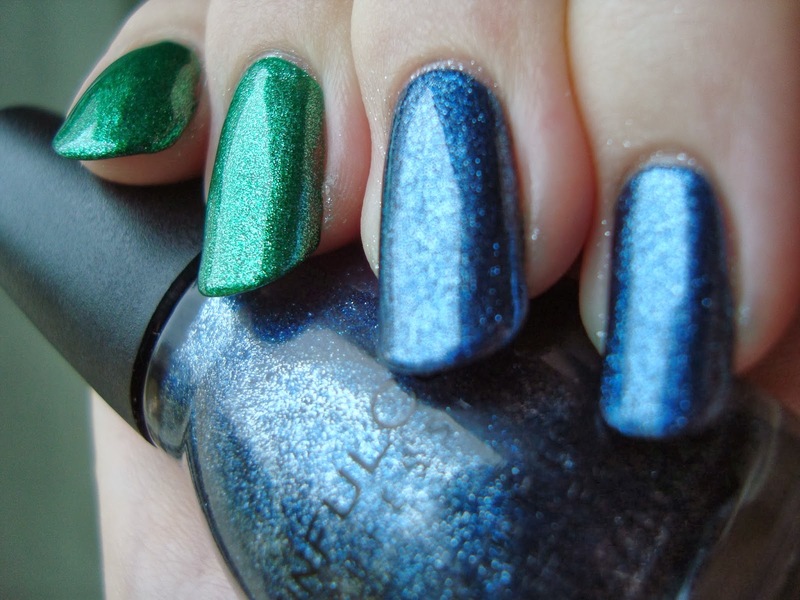 I'd already picked up some of the shades from Rite Aid's Glitz & Glittered collection (G.'s post), so those could be passed over. The whole row of bar glitters got only a quick look because...bar glitter. I picked quite a few shades from Decorate Decadently. ...and then I found a display called Naughty Or Nice? at Wegmans. It had one of my favorites, Last Chance, as a repromote....making it different from the Naughty Or Nice? display that G. posted about. 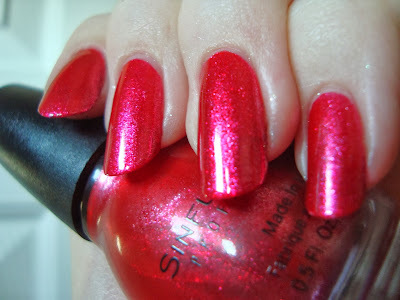 At this point we're looking at something like forty shades in Sinful Colors holiday displays. Oh man. I'll admit that part of the reason that these are my final xmas swatches of the season is sheer intimidation. The abundance is awesome, but it's also....kinda scary. 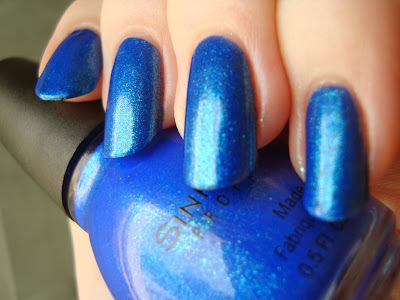 This is a VERY long post even though it's hardly all of the shades offered by Sinful Colors this season. 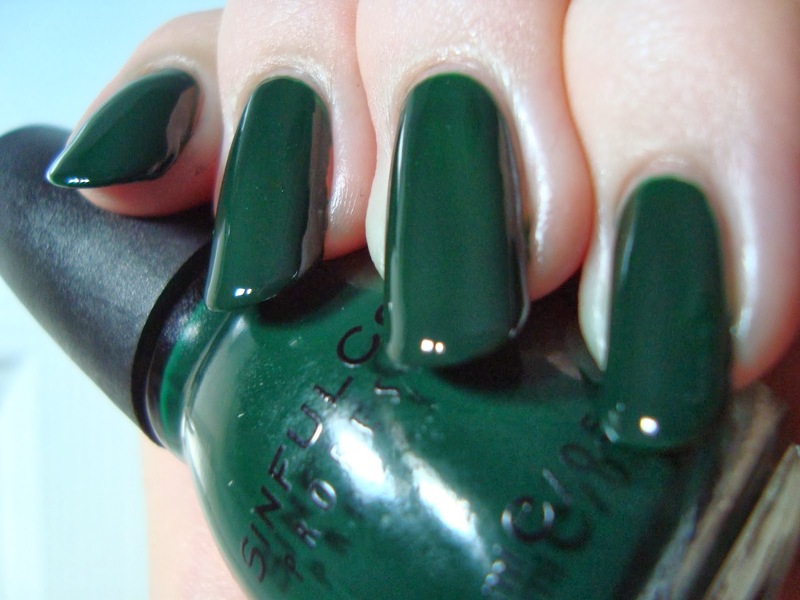 There are a ton of older swatches of some of the repromotes down toward the bottom. Go get yourself a cocoa or an egg nog, because we'll be here for a while. Red Eye is a deep pink metallic foil. This is just one coat, but I probably should have used two. It's way pinker than I expected, especially with the name. I guess "Pink Eye" wouldn't have sounded right. It's pretty, but way too pink for me personally. There are two purple foils. Triple Platinum is a softer lavender and Purple Heart is more grape. Two coats of each this time. The little silver bits are almost impossible to remove if you get them on your skin, but wow both are stunning! There are two more foils. 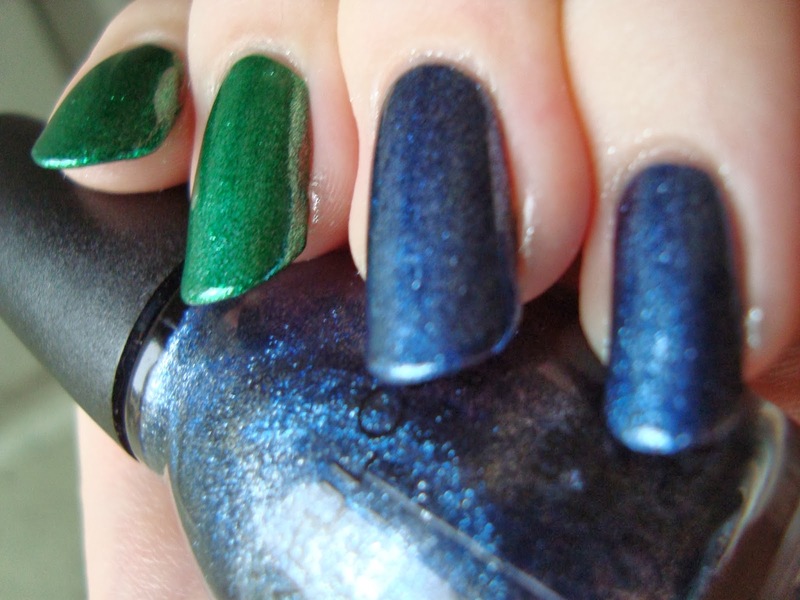 Pine Away is a jungle green and Blue Steel is a smoky blue. Gold Medal is a metallic gold frost. This is two coats and I'll be blunt. I don't like it. It's thick and brushstroke-y. I'm hoping it stamps well. 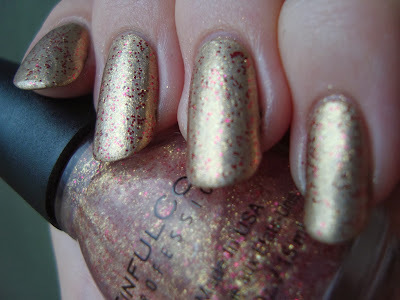 Gilded has gold shimmer and a generous scattering of small red glitter in a clear base. A coat of Gilded hides the brushstrokes in Gold Medal nicely. Sorta reminds me of the basic look of the Maybelline Brocades. 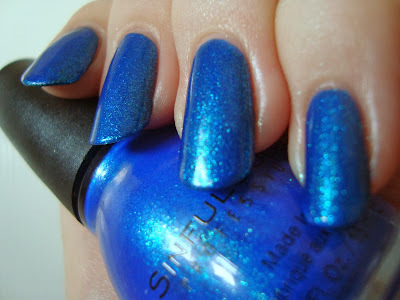 Blue By You is an intense blue shimmer. Not a new shade, but one I kept almost buying...I wish I'd gotten it sooner! This is two coats and it's amazing! 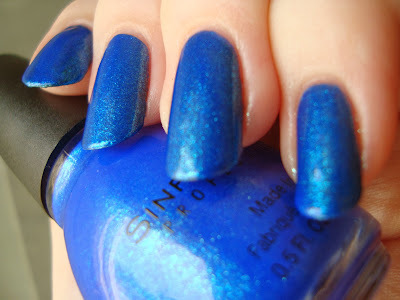 It has the typical sulfur stink of blue polish and it seems like it would stain, but I'd call it worth the risk. Seriously...look at this shimmer! Look! 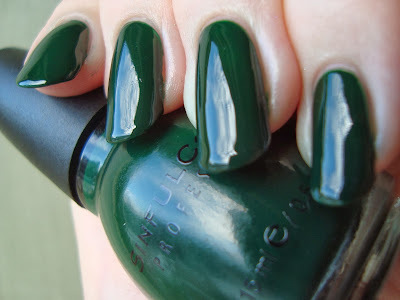 Last Chance is a dark green crelly. I don't know quite what happened here. Last Chance is darker in person than my camera wanted to see. 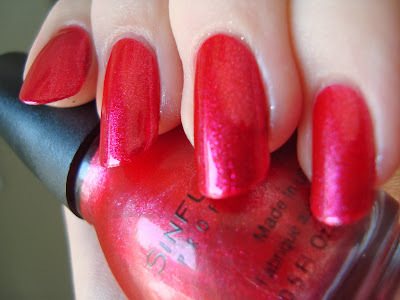 It's one of my absolute favorite Sinful Colors shades, which is why I swatched it again. Frustratingly, I caught it better the first time! My older photo (below) is much more true-to-color. BIG stain warning on this one, but I can handle being a little green for something this beautiful. Absolutely love it! 24 Karat has dense gold microfleck in a clear base. Perfection! 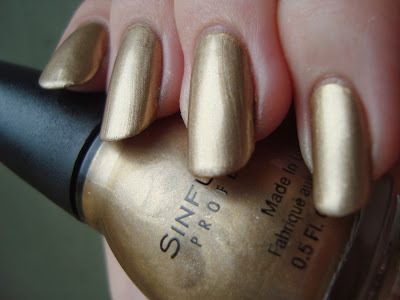 I always love a gold flake/fleck top coat. This is two coats for density. 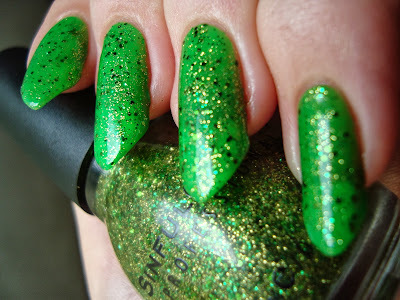 It's reminiscent of Zoya Maria-Luisa, but the particles are way too small for it to be a dupe. It's not a dupe for All About You either, since it's less brassy. I tried it over a lighter color too. I can't imagine there's much it wouldn't look good over. So versatile! 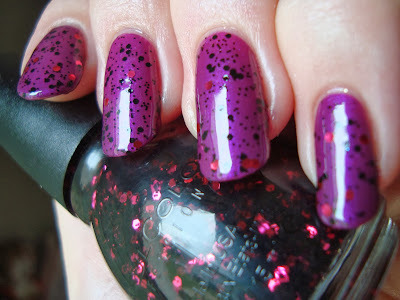 Fig is a fuchsia shimmer. 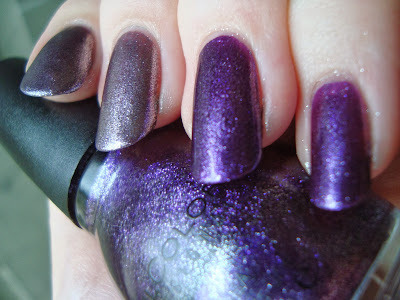 Fig's been out since around the time I got back into polish and was one of my earliest Sinful Colors purchases. Somehow this is the first time I've worn it. This is two coats and it's a little on the runny side. I probably could have used a third coat. Unwrap Me is a mix of tiny black microglitter and small black and light red hexagonal glitter in a clear base. I honestly don't know if I should call those glitters red or pink. 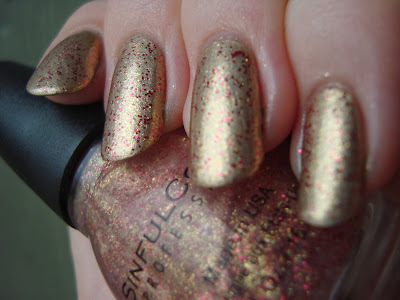 As glitters go, Unwrap Me applies pretty well. I did dab a bit, but I almost always dab glitter. I like that it's not overly xmasy. I can see using this year-round. And now the reruns. 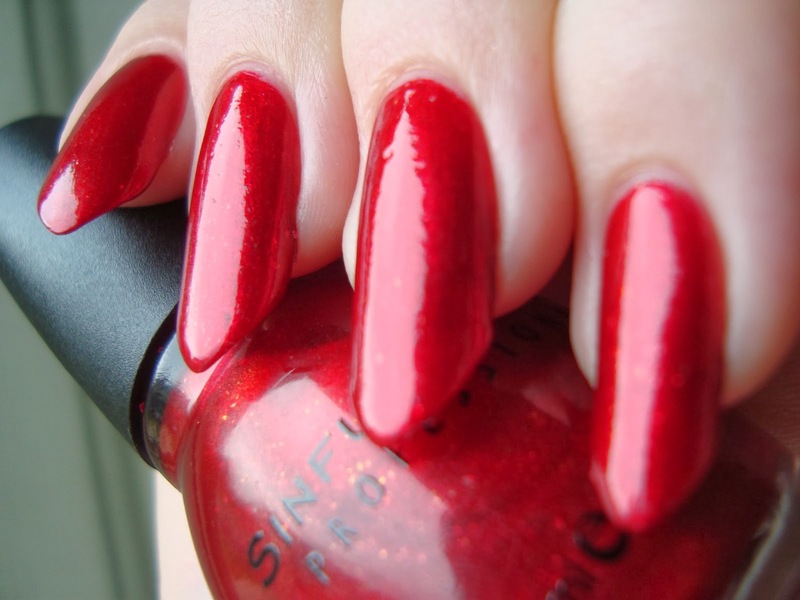 Click shade names for previous reviews. Bottom line: Of all of these, the only one I wouldn't recommend is Gold Medal. Dashing off to finish wrapping presents, rush an xmas eve mani, and then go to Ma's for dinner! Is it really here already?? Hope you have a great whatever it is you do! Apparently I never uploaded the pictures of my swatches to my computer, but I compared 24 Karat to Essie's As Gold as it Gets, and the flakes were nearly identical, just noticeably more dense in Essie than SC. 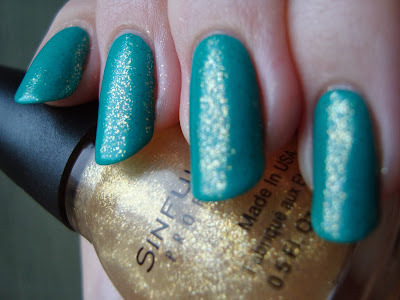 I've been having the most difficult time finding any sinful colors at the drugstore lately! I desperately want the color "pride" but all the Walgreen's around here haven't been putting out any of the new collections to make space for all the Christmas stuff. They've even put away the permanent displays of sinful colors and Jordan's to put up the Christmas perfume gift sets! So jealous of you!